While one current Chelsea star looks set to be offered a new contract, it’s reported that a familiar face could be keen on a future reunion. Thibaut Courtois has been a stalwart for Chelsea since re-joining the club following a loan spell at Atletico Madrid in 2014. The Belgian international has gone on to make 118 appearances in all competitions, and has helped the Blues to two Premier League titles in the last three years with his organising of the backline and a healthy habit of producing quality saves. Now, it’s reported by Goal that he could be in line for an improved deal, one that could double his current salary from £120,000-a-week to £240,000-a-week. 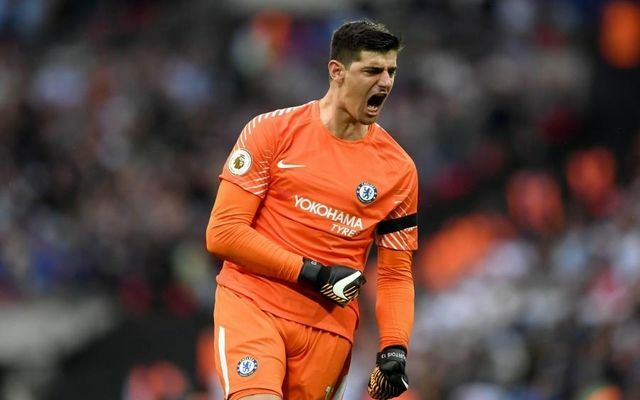 Real Madrid are still interested in Courtois, as per the report, and so that could have had an impact on Chelsea’s push to now agree on new terms, but it’s certainly a wise move as he would be a hugely difficult figure to replace if he left Stamford Bridge. Meanwhile, Oscar is seemingly pining for the Bridge or even a return to England as The Sun note that he has spoken publicly about moving back in the future. It’s noted that the Brazilian playmaker sealed a £60m move to Shanghai SIGP in January this year, and while it would have been a lucrative and financially-rewarding move, it’s not the pinnacle of the sport as he gave up Premier League and Champions League football to move to the Far East. While he’s certainly taken to life in China with eight assists and a goal in 17 appearances this season, the 26-year-old still clearly misses what he gave up. “Yes, I would go back. I’m still young, I’m 26 years old,” he said, as reported by premierleaguebrasil.com.